On January 4, 2016, the United States Bankruptcy Court for the Southern District of New York (the "Bankruptcy Court") deviated from SDNY precedent and held that, despite the absence of clear Congressional intent, the avoidance powers provided for under Section 548 of the Bankruptcy Code can be applied extraterritorially. As a result, a fraudulent transfer of property of a debtor's estate that occurs outside of the United States can be recovered under Section 550 of the Bankruptcy Code. This ruling creates a split among courts within the Southern District of New York regarding the reach of avoidance powers when it comes to the recovery of extraterritorial property. In December 2007, Basell AF S.C.A. ("Basell"), a Luxembourg entity controlled by Leonard Blavatnik ("Blavatnik"), acquired Lyondell Chemical Company ("Lyondell"), a Delaware corporation, forming a new company after a merger by means of a leveraged buyout. The LBO was 100% financed by debt, which was secured by the assets of Lyondell. Less than 13 months later, Lyondell filed a petition for chapter 11 relief in the Bankruptcy Court for the Southern District of New York. Lyondell's unsecured creditors were behind $21 billion in secured debt, with Lyondell's assets effectively depleted as a result of payments of $12.5 billion in loan proceeds to stockholders. The trustee of the litigation trust formed under Lyondell's plan of reorganization (the "Trustee") asserted claims against Blavatnik and various other defendants for, among other things, fraudulent conveyances relating to a shareholder distribution of �100 million Basell made two weeks before the closing of the merger. The Trustee claimed that the merger, along with the highly leveraged financing of the merger, left the newly formed company, Lyondell, and many of their affiliates insolvent, inadequately capitalized and grossly overleveraged. Numerous motions to dismiss were filed, including one for failure to state a claim on the grounds that the avoidance powers of Section 548 of the Bankruptcy Code do not apply because the shareholder distribution, which was made by a foreign entity (Basell, a Luxembourg company) to a foreign entity (BI S.�.r.l., its Luxembourg parent), constitutes an extraterritorial transaction. The defendants moved to dismiss the complaint on the basis that prevailing case law in the Southern District of New York held that Section 548 did not apply outside of the United States. The Bankruptcy Court first noted that there is a presumption that legislation of Congress is meant to apply only within the territorial jurisdiction of the United States, but that courts will perform a two-step inquiry to determine whether to apply this presumption in a specific factual setting. First, a court must determine whether the presumption applies at all by considering the conduct regulated by the legislation in question, and whether that conduct occurred outside of the United States. If the presumption is implicated, the court then must consider whether Congress intended to extend the statute's coverage to the extraterritorial conduct at issue. After analyzing the facts and law, the Bankruptcy Court concluded that the presumption against extraterritoriality was rebutted, and the motion to dismiss the complaint was denied. In determining whether a transaction is domestic or extraterritorial, courts consider a number of factors, including whether the participants, acts, targets and effects involved in the transaction primarily are foreign or domestic. The Bankruptcy Court was unconvinced that the "minimal contacts to the United States" advanced by the Trustee1 were sufficient to overcome the substantially foreign nature of the shareholder distribution, and determined that the connection to the United States was insufficiently strong for the transfer to be considered anything but extraterritorial. Therefore, the shareholder distribution constituted an extraterritorial transfer. The Bankruptcy Court then considered whether Congress intended that Section 548 of the Bankruptcy Code apply to extraterritorial transfers. The Court first looked to the language of the statute2 and noted that the text does not contain any express language or indication that Congress intended for it to apply extraterritorially. The Bankruptcy Court then looked to context, such as the surrounding provisions of the Bankruptcy Code, including (i) Section 541, which provides for a bankruptcy court's in rem jurisdiction over all of a debtor's property, whether foreign or domestic and that any interest in property recovered under Section 550 becomes property of the estate,3 and (ii) Section 550, which authorizes a trustee to recover transferred property to the extent that the transfer is avoided under Section 548. The Bankruptcy Court agreed with the reasoning of the Fourth Circuit4 in In re French, stating: "It would be inconsistent (such that Congress could not have intended) that property located anywhere in the world could be property of the estate once recovered under Section 550, but that a trustee could not avoid the fraudulent transfer and recover that property if the center of gravity of the fraudulent transfer were outside of the United States." In addition, the Bankruptcy Court praised the reasoning of Professor Jay Westbrook in an article5 analyzing both the In re French decision and a decision criticizing the same.6 The counterargument to the extraterritorial reach of Section 548 is that because property held by third-party transferees becomes property of the estate only when the transfer has been avoided, Section 541 does not indicate Congress's intent that Section 548 apply extraterritorially. Here, the Bankruptcy Court agreed with Professor Westbrook that Section 541 "strongly suggests that Congress intended the reach of [the avoiding] powers to be co-extensive with the broad, global embrace of its definition of estate property." This decision appears to be somewhat at odds with the language of Section 541, which speaks of property "wherever located" as property of the estate, including property once it is recovered under Section 550 pursuant to an avoidance action, but with no explicit mention of the extraterritorial reach of avoidance actions themselves. The lack of clear Congressional intent that avoidance powers apply to foreign transactions was the basis for prior decisions in the Southern District of New York which took the opposite view and held that the avoidance powers only apply domestically.7 Those courts reasoned that if Congress intended for the avoidance powers to have extraterritorial reach, it could have so stated either the relevant statutory provisions governing avoidance actions under the Bankruptcy Code or in Section 541 itself. 1� The Trustee's arguments were the following: at least some of the decisions to make the shareholder distribution were made in the United States; the merger had substantial connections to the United States and, as part of the merger, so did the shareholder distribution; and payment of the shareholder distribution had substantial effects in the United States by rendering Basell�and 13 days later, the resulting company� undercapitalized. 2� Section 548 of the Bankruptcy Code provides that a trustee may avoid any fraudulent transfer of an interest of the debtor in property that was made within two years of the bankruptcy filing. 3� Section 541 of the Bankruptcy Code, which defines "property of the estate" provides, among other things, that the estate includes any interest in property that the trustee recovers under Section 550 of the Bankruptcy Code, wherever located and by whomever held. 4 French v. Liebmann (In re French), 440 F.3d 145 (4th Cir. 2006), cert. denied 549 U.S. 815, 127 S. Ct. 72 (2006). 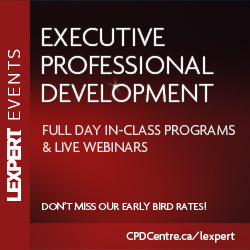 5� Jay Lawrence Westbrook, Avoidance of Pre-Bankruptcy Transactions in Multinational Bankruptcy Cases, 42 TEX. INT'L L.J. 899. 6 Barclay v. Swiss Fin. Corp. Ltd. (In re Bankr. Estate of Midland Euro Exch. Inc.), 347 B.R. 708 (Bankr. C.D. Cal. 2006) (acknowledging that Section 541 provides that property of the estate includes property "wherever located," but ultimately concluding that Section 541 did not support a reading of Section 548 to apply extraterritorially). 7 Referring to Maxwell Communication Corp. plc v. Barclays Bank (In re Maxwell Commc'n Corp. plc), 170 B.R. 800 (Bankr. S.D.N.Y. 1994); Societe General plc v. Maxwell Commc'n Corp. plc (In re Maxwell Commc'n Corp. plc), 186 B.R. 807 (S.D.N.Y. 1995); and Sec. Inv'r Prot. Corp. v. Bernard L. Madoff Inv. Sec. LLC, 513 B.R. 222 (S.D.N.Y. July 28, 2014). 8 Chapter 15, which governs U.S, bankruptcy cases in aid of (or ancillary to) foreign bankruptcy, reorganization and insolvency proceedings, explicitly does not permit the use of avoiding powers under the Bankruptcy Code by a foreign representative in a chapter 15 case. Cases are divided as to whether a foreign representative in a chapter 15 case may bring avoidance actions under foreign law in the U.S. While chapter 15 cases present unique considerations of comity with foreign jurisdictions, the express prohibition on a foreign representative bringing avoidance actions under the Bankruptcy Code at least arguably provides some support for the notion that Congress did not intend for Bankruptcy Code avoidance actions to have extraterritorial reach, at least in some circumstances.